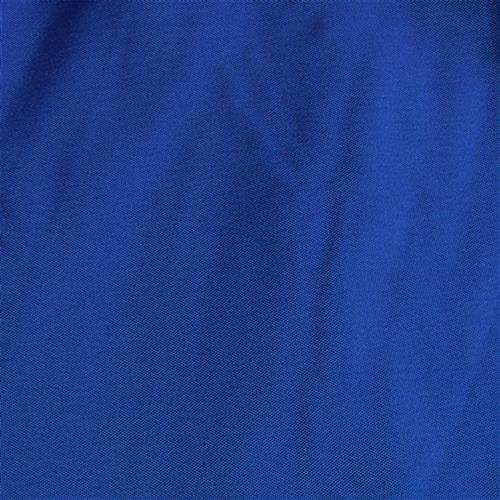 Royal blue polyester cloth adds style to any setting. Designed to fit most 8-foot-long tables. 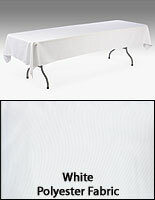 54"w x 120"l tablecloth prevents excess fabric from hanging around the sides of a table. 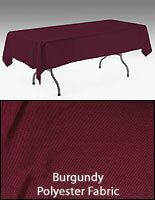 Banquet table cloths look great when used in groups within a banquet or ballroom setting. These table covers, banquet table cloths are designed to be used with table skirts to enhance a table presentation with elegance and style. 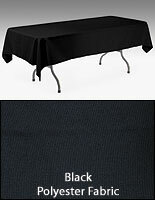 Banquet table cloths, also known as table linens, simple drape overtop of an 8-foot-long table, with little excess hanging around the sides. 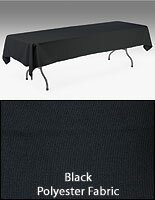 Once in place, simply attach clips (sold separately) and table skirts (sold separately) around the edges of a table. We provide the banquet table cloths with a seamless design, preventing your fabric cloth from bubbling or bulging in the middle of a display. Banquet table cloths are meant to conceal the top display area of a table, ultimately creating a more professional appearance. These tablecloths, banquet table cloths therefore should be purchased in larger quantities so you can create a unified presentation throughout a room. We recommend hotels and restaurants use these banquet table cloths to add style and uniformity to any function hall or banquet room. Banquet table cloths, such as table skirts, are made from 100% polyester fabric for durability. Their Royal Blue color creates a more vibrant display, sure to enhance the overall beauty of a banquet setting.